How to Unfollow people on twitter, Add creative licence to your website, Remove antivirus from your PC, Configure a Router, Download windows 8, How to Fix Gaming Issues. Every email service provider almost offers a email service without charging any cost and it is very much useful and a very fast way of communicating with the people around the world. The most important information like the documents and messages can be sent through the emails with free of cost as well. But some users use this mailing facility for a illegal purposes like spaming the unknown persons or the organizations etc. Now if the Gmail want to keep a data of the IP Address of email sender in Gmail and here is tutorial for you to guide on how to do it. Gmail is the most popular emails service provider which has millions of users and in case if the sender happens to use a third party email clients like the available thunderbird or the GMAIL app then the IP address can be known very easily. 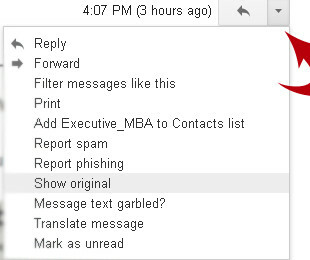 Step 2: Open the email from Gmail account for which you wish to find the IP address for. Step 5: Next see some image below which is visible on the screen. Step 8: Now you’ll see Received: from is which is visible on a highlighted font and in the line you find the IP address of sender . That’ it! Now you have the IP address of the Email sender in Gmail. Depending upon your requirement you can use this IP address to track the location of the sender using IP address tracking tools. Ctrl can be used to Compose email in a New Tab. Any email can be deletedby Right clicking on it and then selecting the delete option. This entry was posted in how to and tagged noads on Apr 19, 2014 by Rajesh. How to Overclock PC to Increase the Processing Speed? Is your pc getting slow day by day? There are several reasons for that like virus attack, too many temporary files. After cleaning pc with latest antivirus still it doesn’t getting speed then you can increase PC speed by overclocking the CPU. Overclocking is the process of unlocking the speed of processor. Actually processor manufacturers lock each processor on a certain level and shipping that processor with less processing speed. If you feel your PC is getting slow then you can overclock your PC by unlocking the remaining speed of processor. Here we show the safest method to increase the speed of PC by overclocking the processor and also you know about what is overclocking a PC and how to overclock a PC. 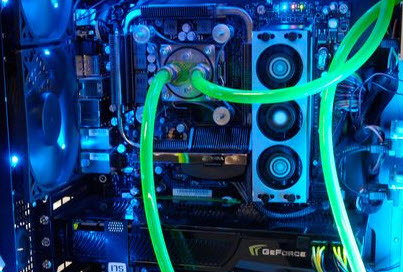 How to Overclock PC and What you’ll need? Actually you can overclock other hardware in your PC too, because they also have capability to increase their performance like video card and graphics card also come up with some extra speed. Here we overclock PC by unlocking the processor using the default tools. Try this guide safely and carefully, we are not responsible for any type of damages and problems. Because all PC models and mother boards have different types of configurations. 1. First you need to gather your PC mother board model number. 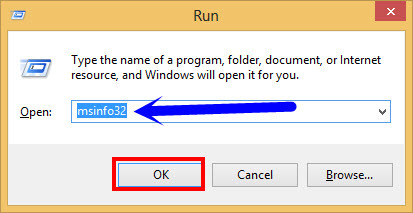 To get mother board model number by typing msinfo32 in run dialogue box, it will show everything about your PC. 2. Now download the user manual of your PC mother board and update BIOS to its latest version. 3. If you want to perform this operation through windows utility then you need open this software every time you restart the pc, alternatively you can make changes in BIOS settings also. 4. Now search through the internet for your CPU model and make a note about the temperature range of that CPU. 5. Now restart the pc and go to BIOS settings by pressing F1 or Del button. This shortcut depends upon the computer model. 6. it’s time to tweak the speed of CPU by changing the front side-bus speed settings. Go to PC settings and increase value to 5MHz or 10MHz. Now save changes in BIOS settings by pressing F10 and restart the PC. 7. If the pc boot into windows operating system then there is no problem with these changes, but it doesn’t boot into windows then go to BIOS settings and change all values to its default. Again save these changes in BIOS settings. If the setting works then gradually increase the speed in BIOS settings and check whether it creates any problem or not. We are dealing with BIOS Settings, if small mistake will be done your PC doesn’t boot into windows, so make sure find ways to get BIOS settings back. Press ESC or F1 to get into BIOS settings. Overclocking PC increases the heat of CPU, so you need to upgrade the heat sink of CPU to keep the PC cool. This entry was posted in how to on Apr 15, 2014 by Rajesh.